Hi! My name is Stacey and I am the local Jim’s Dog Wash Franchisee in Reservoir. I cover the areas of Reservoir, Kingsbury, Thomastown, Preston, Bundoora and Heidelberg. 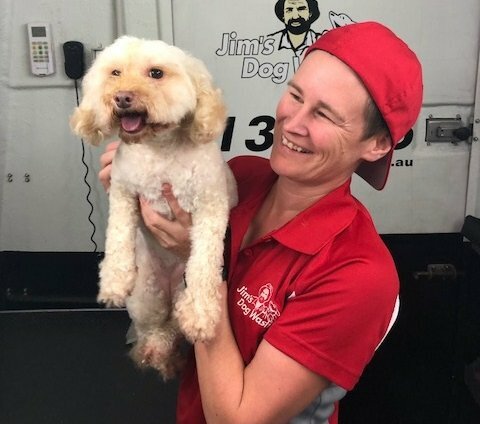 There is nothing better than a freshly washed and groomed pooch and I am fully trained, insured as well as backed by the Jim’s brand to ensure that you are ecstatic with the work that I do. Remember a clean pup is a happy one! !